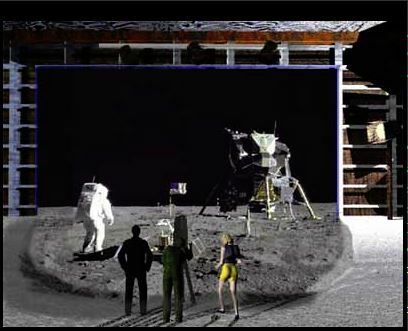 Fake Moon Landings and Crashed Aliens: Who Believes in This Stuff? Posted November 26th, 2017 by Mike Boyes & filed under Attitude Formation Change, Consciousness, Intelligence, Intelligence-Schooling, Language-Thought, Persuasion, Social Influence, Social Psychology, Social Psychology. Description: Was the Apollo moon landing a hoax filmed entirely on Earth? There are quite a few people around who claim that it was just that. Assuming for a moment that the moon landing was NOT a hoax or that the American Government does NOT have frozen aliens and flying saucer wreckage hidden in Area 59 in Roswell, New Mexico why are some people more inclined to believe in such conspiracy theories? Are the non-believers smarter than the believers? Is it a personality thing? Really, what is your hypothesis (again assuming the hoaxes are NOT true)? Once you have a hypothesis or two in mind have a read through the article linked below to see what a recently published research paper has to say on this matter. Source: High cognitive ability not a safeguard from conspiracies, paranormal beliefs, Science News, ScienceDaily. So, it is not just level of cognitive functioning alone that correlates with belief in conspiracy theories (while that IS part of it). The other variable suggested by the researchers is the extent to which people are personally committed to forming their beliefs on rational grounds. Perhaps this is not surprising given how articulate some of the people arguing that vaccines cause autism (and other such unfounded/disproven things) sound. It is important to understand the variables that contribute to belief in conspiracy theories as some of them lead to seriously unhealthy behaviour. We have to think about such things AND we have to be committed to forming beliefs on the basis of and acting on the available scientific data. Why do some people seem to believe in conspiracy or other unlikely or even disproven ideas? How might we address these issues in science classes? How about in Psychology classes? Are there any school policy issues here? Ståhl, T., & van Prooijen, J. W. (2018). Epistemic rationality: Skepticism toward unfounded beliefs requires sufficient cognitive ability and motivation to be rational. Personality and Individual Differences, 122, 155-163. Belleville, G., Foldes-Busque, G., Dixon, M., Marquis-Pelletier, É., Barbeau, S., Poitras, J., … & Marchand, A. (2013). Impact of seasonal and lunar cycles on psychological symptoms in the ED: an empirical investigation of widely spread beliefs. General hospital psychiatry, 35(2), 192-194.